Identification: Fringes are white and not checkered. 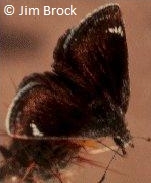 Upperside is dark brown with 2 rows of small white spots on the forewing; hindwing may have some white spots. 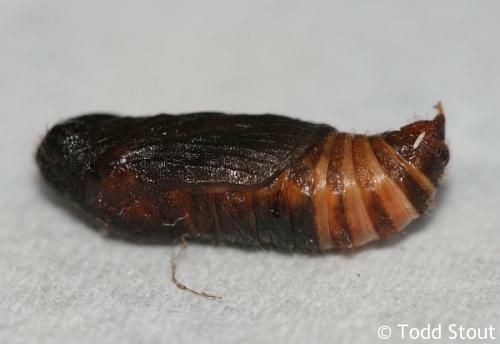 Underside of hindwing is light to dark brown with a pale gray overlay and few to many white spots. Life History: To find receptive females, males patrol around the host plants in the morning. 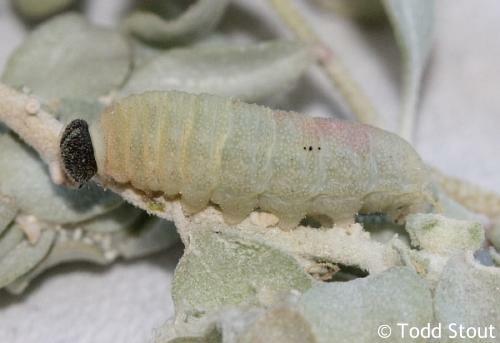 Females lay eggs singly on leaves of the host plants. 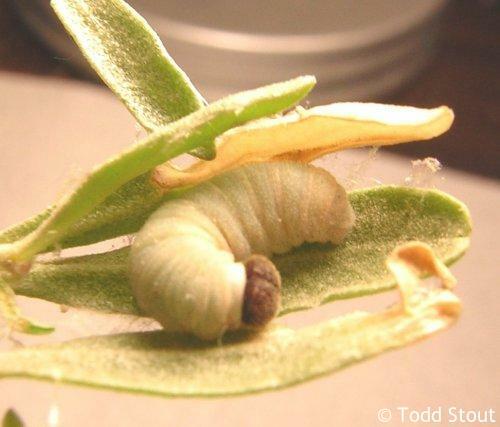 Caterpillars feed on leaves and live in nests of leaves tied together with silk. Flight: One brood in North Dakota and Montana from July-August; two broods in Colorado from June-August; several broods in southern California from March-October. Caterpillar Hosts: Shadscale (Atriplex canescens) in the goosefoot family (Chenopodiaceae). Habitat: Desert washes and alkali flats with shadscale. Range: Eastern Oregon east to Montana; south to southern California, Arizona, Baja California, and northwestern mainland Mexico.